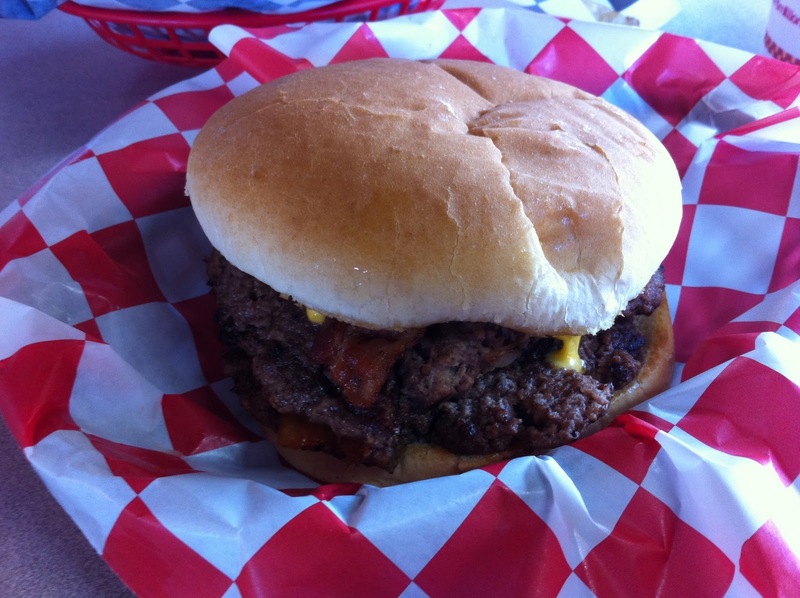 The fourth and final stop on the Kansas burger tour – Bionic Burger. After the disappointment at Nuway, I was still hungry and we had plenty of time to kill before our flight. So I hit the Hamburger America app on my phone and looked at burger joints added by fans. 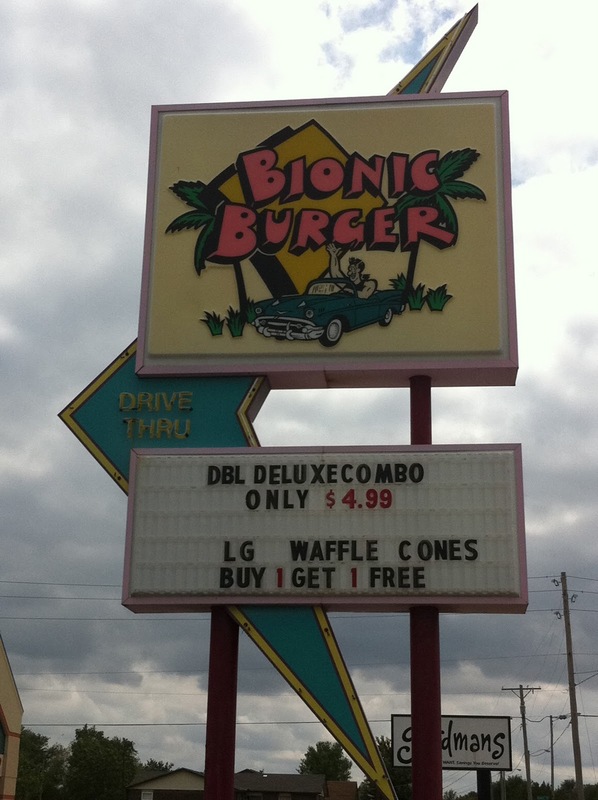 Bionic Burger was there. I couldn’t figure out the name. I was reading the front of the menu and it talked about one of the founders, Steve Majors. Then it all clicked. Steve Austin was played by Lee Majors, the Six Million Dollar (Bionic) Man. With that mystery solved, I ordered the #2, Double Cheeseburger combo. It comes out and looks promising. The burger was seared around the ages and executed very well. The bun, however, was a dry, chewy white-bread mess. The fries were very good – similar to those from Five Guys’. But what really caught our attention there was the Funnel Fries. 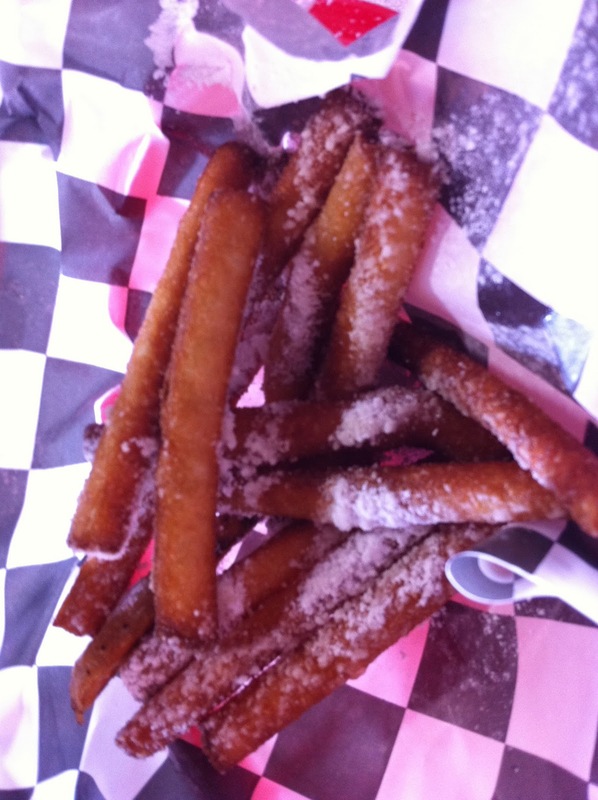 Imagine funnel cakes, reinvented as french fries. What a wonderful creation. Jo had a peanut butter malt with the funnel fries and said that the combination was indeed, in the six-million dollar range.